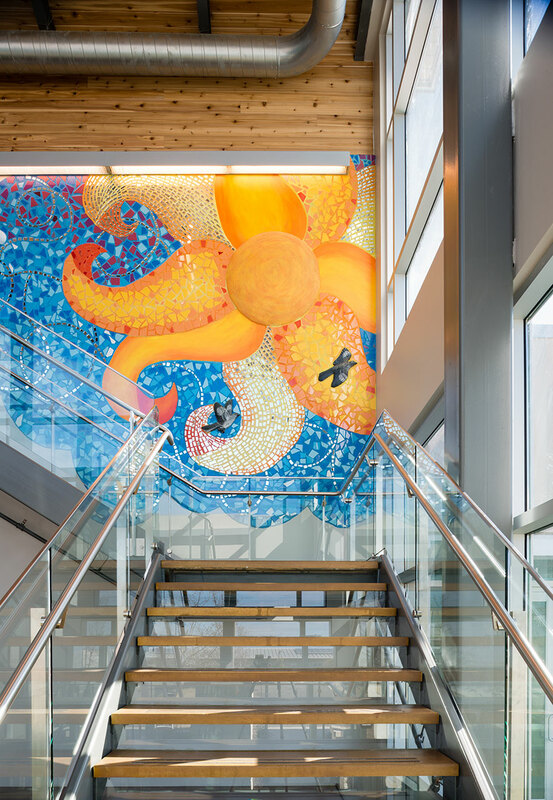 "O'Connell Robertson's design aesthetic on this project is really a reflection of our students and their needs. 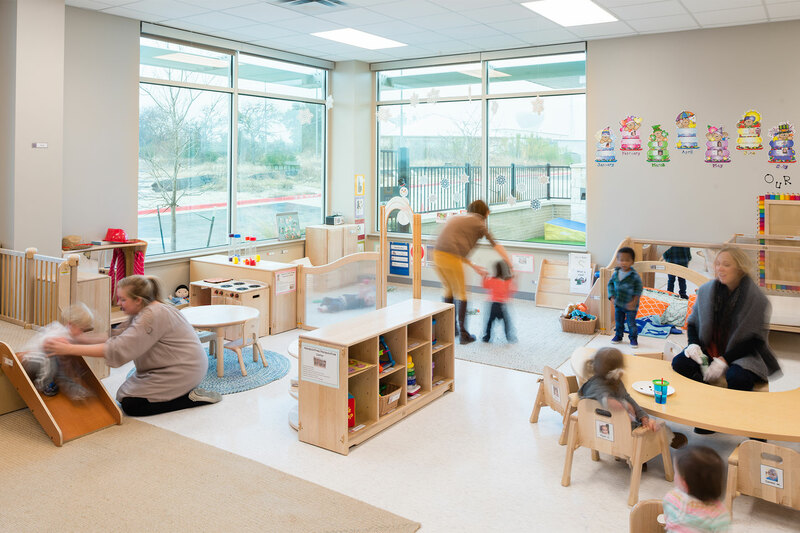 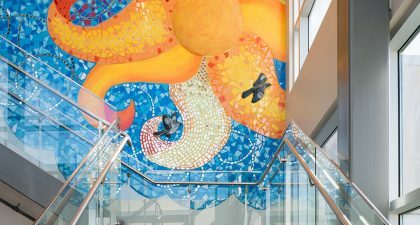 The integrative design elements throughout the school were aligned with the Rise School’s goals and objectives to enhance our early childhood population and provide the best learning environment possible. 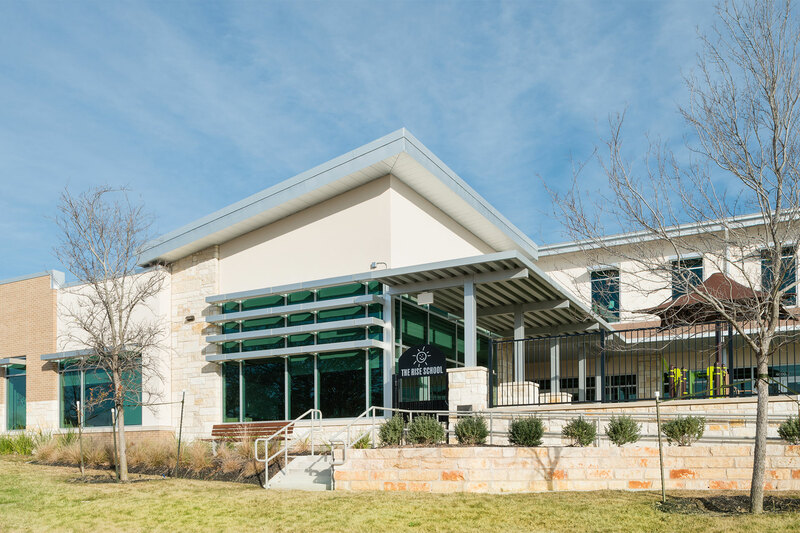 We are astounded by the results and support we received throughout the entire project." 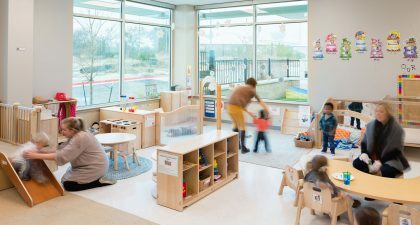 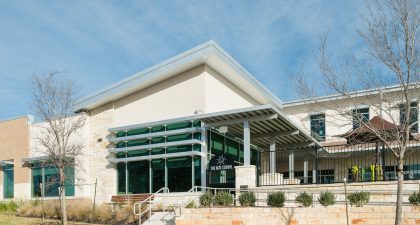 The Rise School of Austin is the City’s only non-profit school dedicated to educating children ages 18 months to six years old, with and without disabilities. 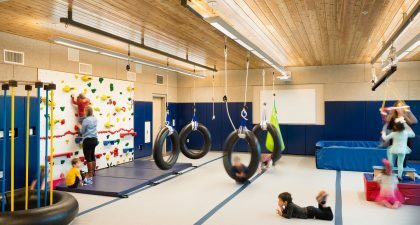 Sixty percent of these students have developmental differences which requires a unique learning environment to traditional learners. 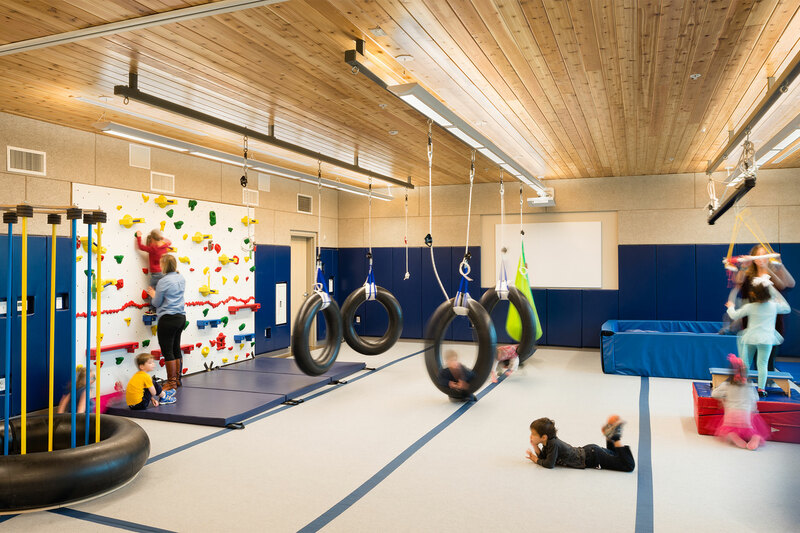 Classrooms were designed to feel more homelike (controlled and internally focused), while motor labs were designed as open environments encouraging excitement and play. 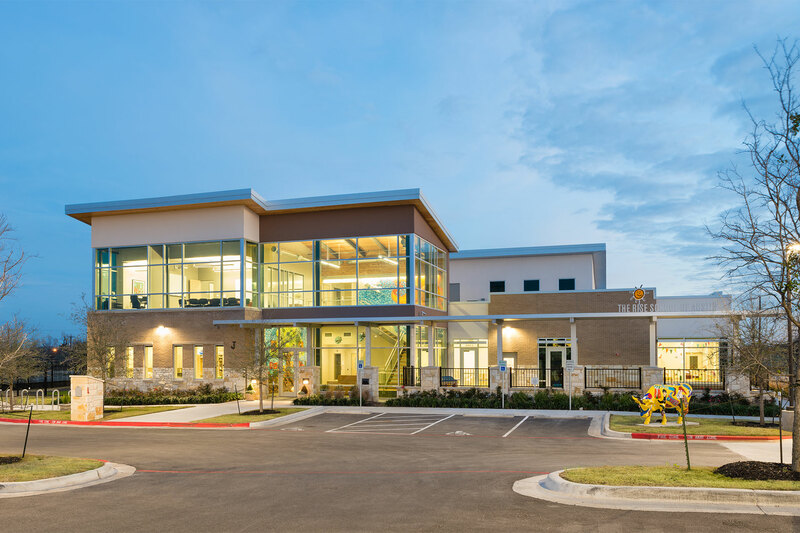 The design team worked closely with the client to include design characteristics that helped to shape the relationships of spaces within the building.